As you’re reading this I am now retired. 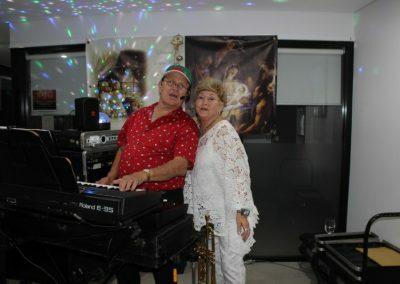 I am thankful for the times I have had at Con Noi and wish to share with you the events of December as my last post. Happy new year to you all. 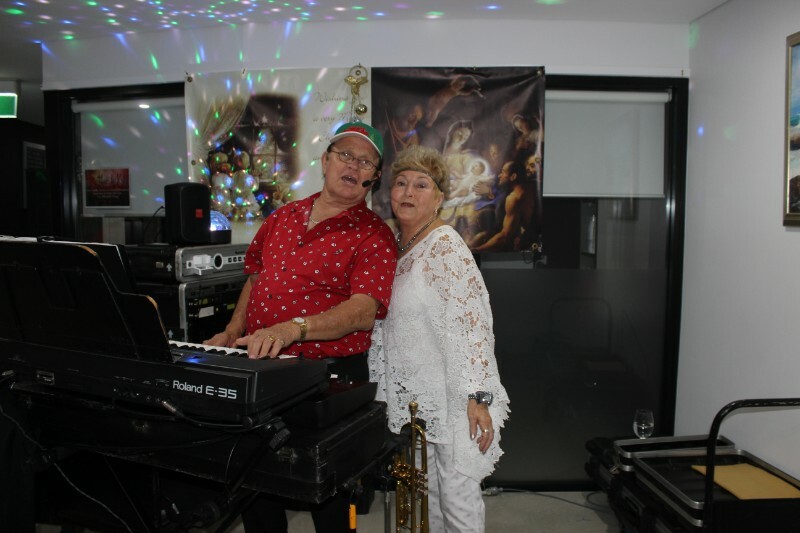 We trust Christmas was a happy time for you all. 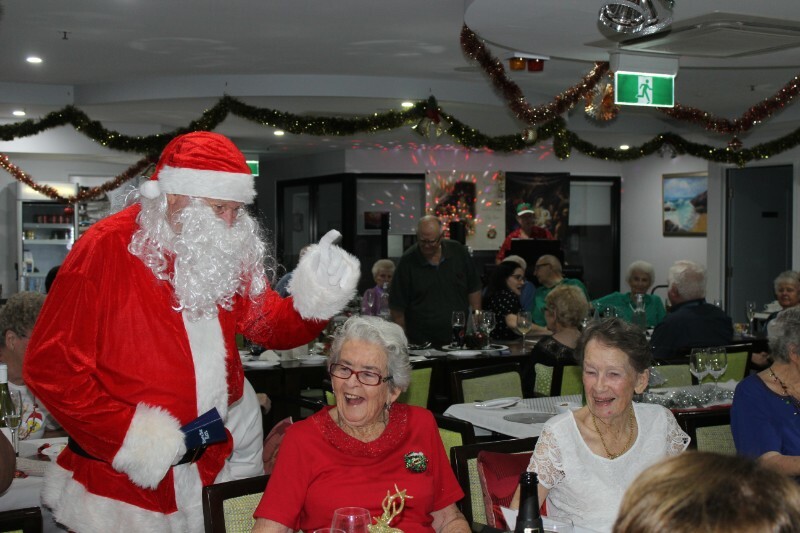 I know all the residents who attended the Christmas party here at Con Noi had a great night. As we entered the room we all encountered the aroma of roast meat and vegetables being cooked on the rotisserie. 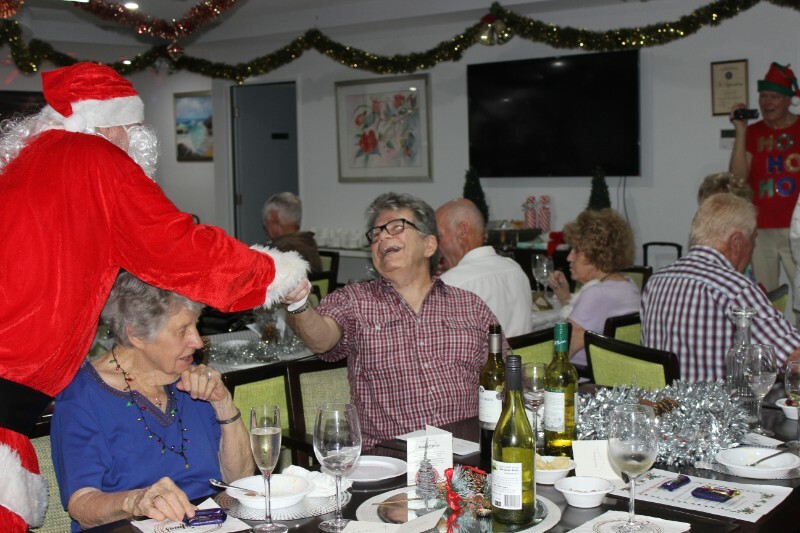 The area was decorated beautifully and Christmas decorations adorned the dining room, Christmas tree and tables with all of the baubles and lights and a big Santa on the sleigh. 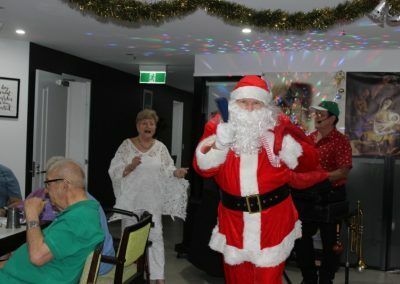 Con Noi Choir, which included guest singer Liza Logan, sang 8 carols and Christmas songs which was well accepted by all of the residents and guests gathered. Sweets were served following the choir. 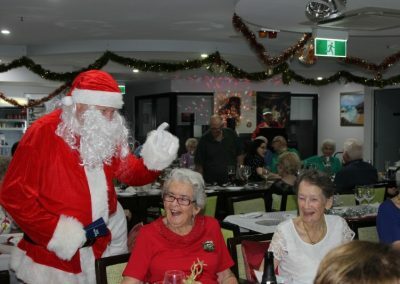 Santa wasn’t too far away as he was ushered in to the singing of ‘jingle bells’. 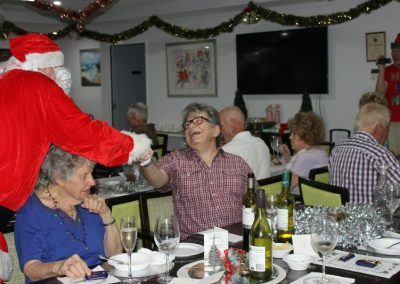 Jolly Santa danced with the residents while Merry Christmas delivered all the chocolates. 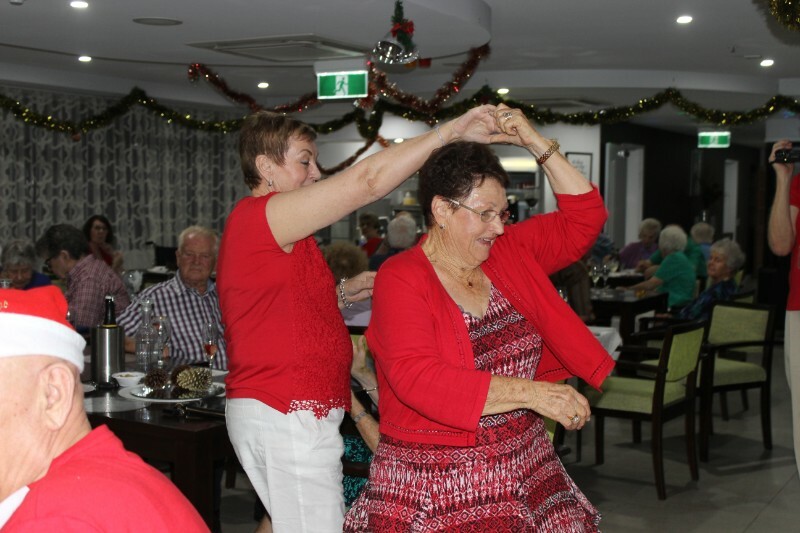 A happy time was had by all. Trophies were presented to all the Mah-jong and Card players and to Brian for his great contribution as Chairman of the Resident’s Committee. 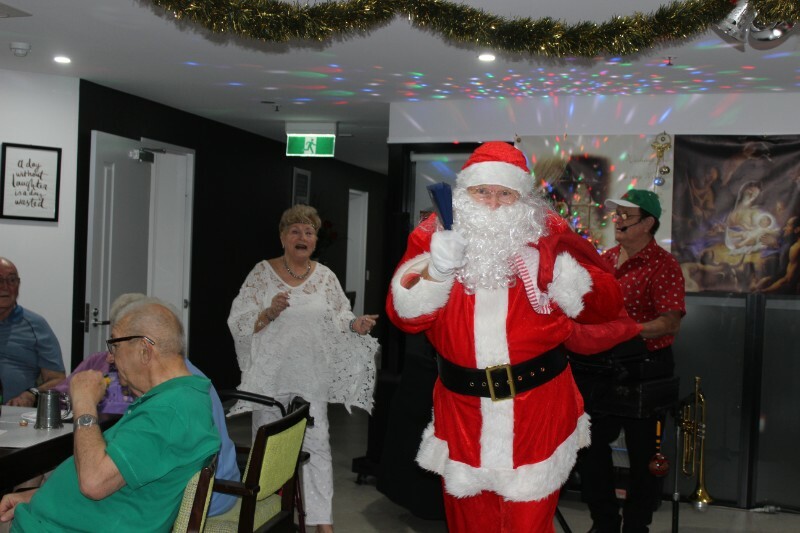 Allen (Alias Santa Claus), was presented with a chiming clock and card signed by all the residents as a gift in recognition of his contribution as Manager at Con Noi. 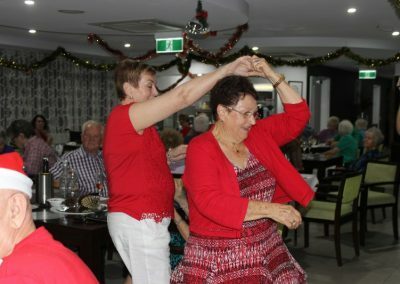 As I say good bye, I would like to wish you all a happy and a safe 2019. Until we meet again. Please remember that we have apartments available. 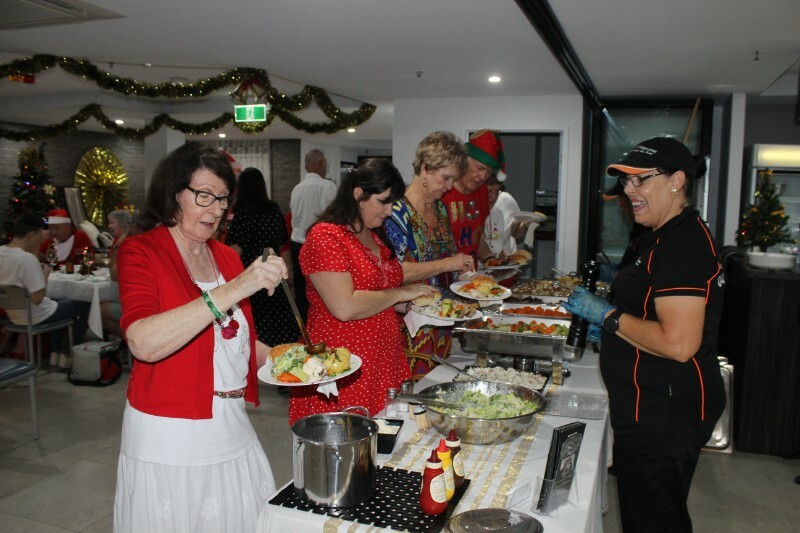 Please call Alison Quinlan on 0418 588 468 who will be able to assist you with your enquiry or Con Noi Office.